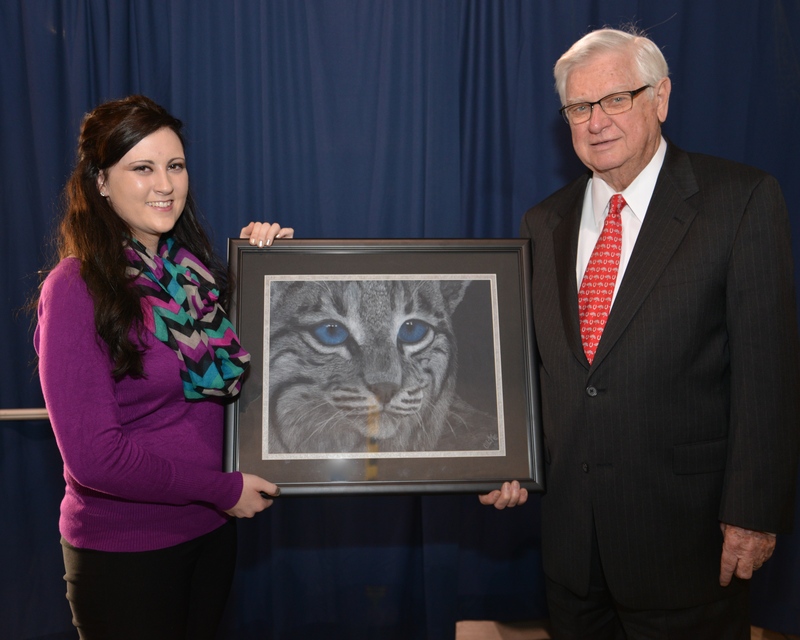 SOMERSET, KY - U.S. Representative Hal Rogers (KY-05) announced the winners of the 2015 Congressional Art Competition for Kentucky’s Fifth Congressional District. The first place artwork, entitled “Eye on the Prize,” was drawn by Allissa Moe, a senior at Betsy Layne High School in Floyd County. Allissa created a picture of a blue-eyed bobcat utilizing white and blue colored pencils on black paper. Her art teacher is Shannon Shepherd. Allissa is the daughter of Thomas and Dorian Moe of Harold. Allissa's artwork will be displayed in the Cannon Tunnel of the U.S. Capitol Building for one year where it will hang alongside artwork from congressional districts across the nation. She is also invited to attend a reception for winning artists from across the country on June 24, 2015 in Washington, D.C., and will receive two complimentary airline tickets to attend. 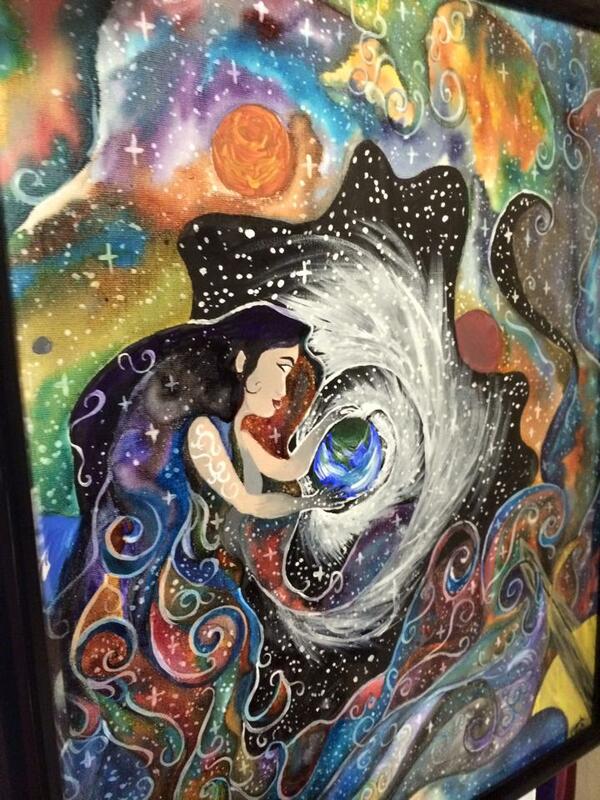 The second place artwork, entitled "Celestial Euphoria" was painted by Hannah Engle, a junior at Pineville High School. Hannah used mixed media to express how beautiful the universe can be. Her art teacher is Rheagan Redmond-Young. Hannah is the daughter of Bill and Melissa Engle of Pineville. 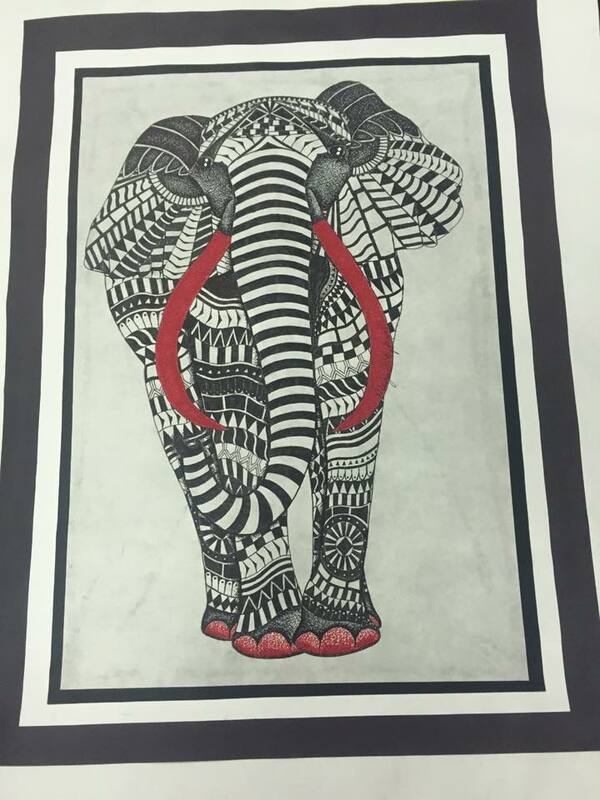 The third place artwork, entitled "Tribal Elephant" was drawn by Megan Stephens, a junior at McCreary Central High School. Megan used ink to create the intricate details of an elephant using tribal patterns and red tusks. Her art teacher is Rose Fey. Megan is the daughter of Tabitha Stephens of Strunk. The fourth place artwork, entitled "Tu Se Manques," meaning "you are missing from me" was drawn by Haley Younce, a senior at Magoffin County High School. 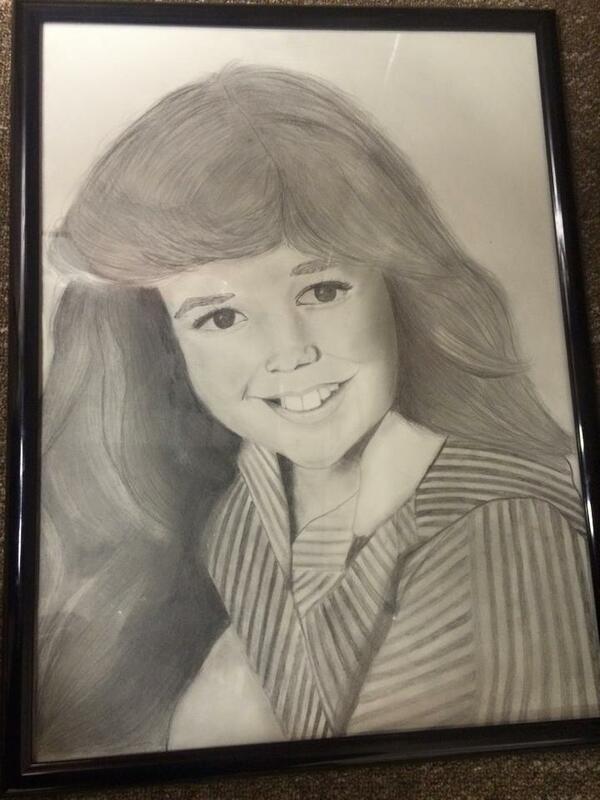 Haley created this black and white pencil drawing from a photo of her mother as a child. Her art teacher is Andrea Parsons. Haley is the daughter of Blake and Wanda Younce of Salyersville. The fifth place artwork, entitled "The Petals" was created by Quinton Loudermilk, a senior at McCreary Central High School. Quinton used mixed media to create a vibrant multi-colored flower. His art teacher is also Rose Fey. His parents are Tony and Madonna Loudermilk of Whitley City. All of the artists will receive a Congressional Certificate of Recognition for their participation. To view all of the entries from Kentucky's Fifth Congressional District, visit Rogers' Facebook page at: https://www.facebook.com/CongressmanHalRogers/posts/10153006918404086. The Congressional Art Competition, sponsored by the Congressional Institute, was initiated by Congress in 1982 to provide an opportunity for members of Congress to encourage and recognize the artistic talents of young people living in their districts. More than 650,000 students have participated in the competition over the last 30 years.